We can provide Stairs, balconies, balustrades and other metal structures to your own specification and design. Unique Flat-Pack construction designed for easy transport and assembly. Supplied with a top grill to double as a barbecue and its own carry bag. These Brackets are powder coated for excellent weather protection. They are large enough to support an eighteen inch flower basket. We have,for many years had the privilege of working with world renown artists and designers bringing their visions to reality. Our courses are designed to provide the basic knowledge sufficient to enable you to operate a small forge and to give you a taster of what it is like to be a blacksmith. 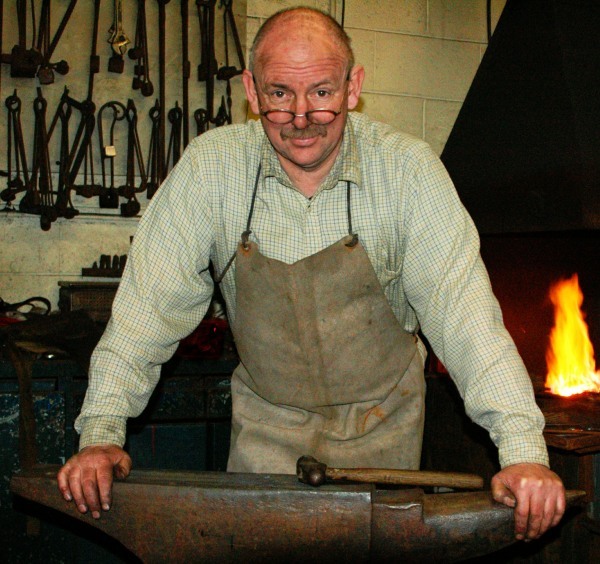 Chris Stokes, Owner of Stokes of England Oswestry is no ordinary blacksmith. A qualified Tool Maker and Machine Tool Operator he developed his skills in general metal work before undertaking intensive training with his father, Joseph Benjamin Stokes, Master Blacksmith, and Master Farrier, UN Expert and Consultant in Blacksmithing to UN departments and other aid agencies. 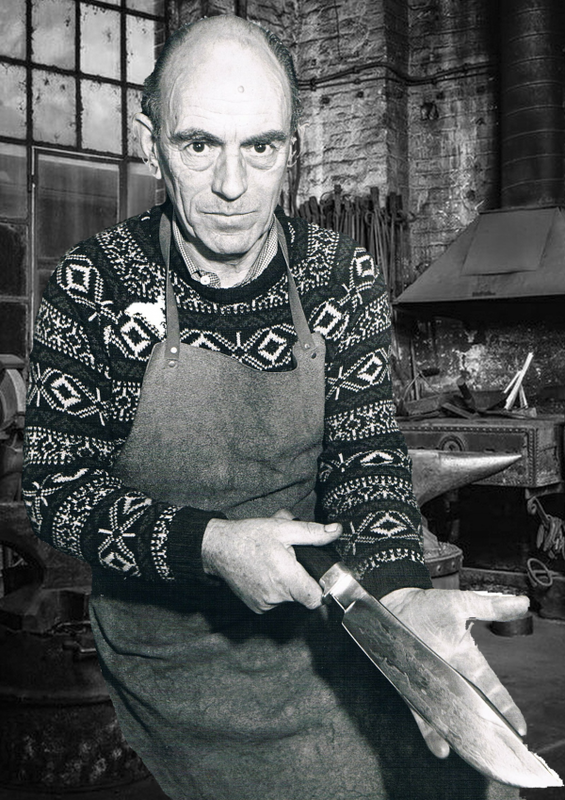 Joe opened Stokes of England in North Shropshire in 1985 not just as the family business it was established as a training facility for overseas development and is the source of several Blacksmithing training manuals. Through the peripatetic nature of Joe’s work with the UN Chris lived in various places in Africa. In Khartoum 1972, he swam the Nile at Wad Medani and witnessed the attempted coup of President Nimeri. A spell in Tripoli Libya in 1975 exposed him to the summary justice of Sharia law and in 1976 Joe’s work with the UN took them to Zambia. Educated at Lindisfarne College, followed by an engineering apprenticeship in Oswestry, in 1984 Chris moved to the USA metal working for John and Patricia Kluge; where he also coached University of Virginia girl’s rugby team. In 1992 he worked in Kuwait. Chris’s international experience, his innate skills and the exposure to the improvisation techniques taught by his father to African farmers, has greatly enriched the artistic nature of his work. He has undertaken commissions for, Prince Charles, The Omani Royal Family, the Oppenheimers, Owen Paterson MP, Maddona, Paul Simon, and people and organizations locally and throughout the UK. So if you are looking for a qualified, traditional blacksmith with creativity and originality who is prepared to undertake projects/commissions at home, or world-wide, look no further than Stokes of England, Oswestry, Shropshire. Email your requirements to us using the contact form.